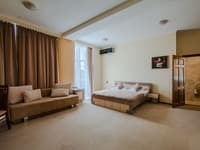 Two-room studio apartment is located in the central, historical part of Kiev, a 5-minute walk from the metro station "University". The apartments are located on the second floor of the house with a ceiling height of 3 m. On the ground floor of the building is the restaurant "Reprise" and Mc Donalds. A business class apartment with two connecting rooms. For convenience of using the apartment, instead of a traditional lock with keys, an armored entrance door has a combination lock. The code changes after each guest. Nearby there is a guarded parking. Free Wi-Fi is available in the apartment. 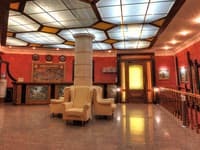 In the living room there is a sofa bed, color TV with remote control (cable TV), telephone. In the bedroom there is a double bed with orthopedic mattress Veneto, a bedroom set. There is also a kitchen with a set of necessary utensils for 5-6 persons, a gas stove, a fridge, a microwave and an electric kettle. 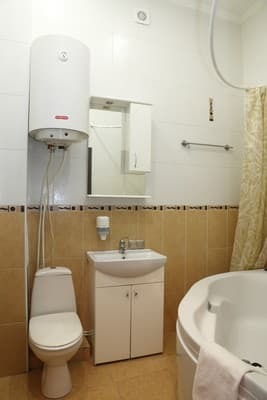 The bathroom is equipped with a corner bath, a boiler (in the absence of hot water). For guests prepared terry towels, disposable soap, shampoo, slippers. The distance from the railway station is 2.3 km, from Borispol airport - 37 km. 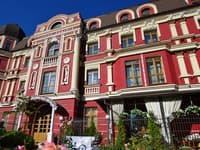 Settlement from 9:00 to 18:00 is possible directly to the apartment address (by prior agreement), at other times - through the office at Saksaganskogo Street 85 or ul. Zhylyanskaya 59. Близость к Крещатику, на первом этаже Макдональдс и кафе-кондитерская, две комнаты, вид из окна, близость метро и парков, на этаже кроме этой квартиры только два офиса. Соответствует заявленному уровню, фото полностью соответствуют факту. Отличное месторасположение, удобная квартира, остались довольны. Очень не хватило вазы для цветов. Обои кое-где несколько потертые, со следами древности. 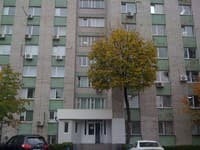 Неприятный запах в квартире, останавливались на 3 дня, постоянно проветривали и зажигали аромопалочки, в концу 3 дня запах ушел. Не понимаю почему этим на занимается сам отель, неужели это должны делать гости? 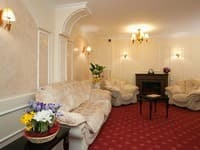 In addition to a large double bed, the apartment also has a sofa bed for two people. The cost of an additional set of linen on the sofa bed is 40 UAH once. 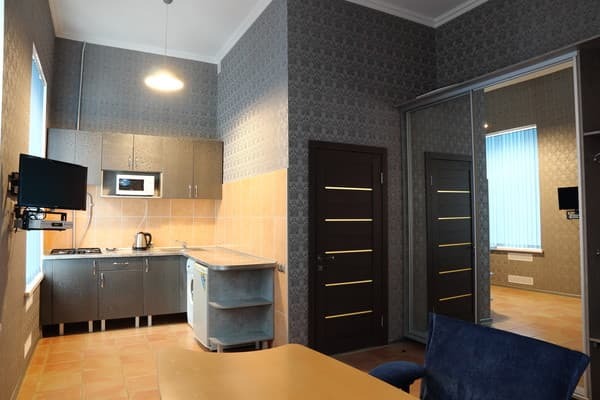 One-bedroom apartment-studio is located in the central, historical part of Kiev, in 5-minute walk from the metro station Universitet. 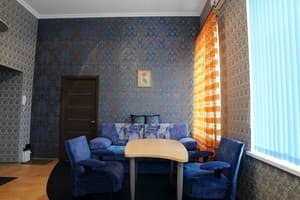 The distance from the railway station is 1.6 km, from the central bus station - 5 km, from the airport Borispol - 37 km.